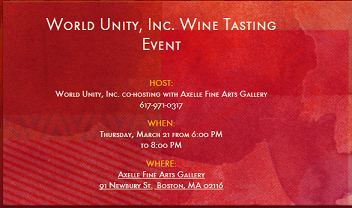 Current or Past Events at World Unity,Inc. below to respond to RSVP to the Evite! World Unity, Inc. and WROR Radio are again co-sponsoring the 9th Annual Statewide Poetry Contest on “Equality and Diversity! Write a poem that best describes what equality and diversity means to you. It must fit within a 30 second spot for radio. We are now on Facebook. Please join us and take a minuter to share your thoughts with our supporters and friends! Here each slide has a different transition with different number of slices, animation speed, delay etc. Also the shadow option is enabled and the transitions interchange between the available “Cube” 3d effects.